Before we discuss the most Modern and useful irrigation systems that you can use in your garden, let’s discuss first what an﻿﻿ Irrigation System﻿﻿ is in general, and some of its traditional forms. This is important to tackle because this would convince us of the usefulness of an Irrigation System and help us realize why we should have one in our Garden. ​Have you ever been through provinces or places that are mostly composed of farm lands? Do you wonder how they water the crops in these vast fields of soil? Yes, the answer is Irrigation System. I will present some of the traditional Irrigation Systems that have been used in the past, as well in this current time. ​ This Irrigation system operates from several basins that are distributed equally along the whole agricultural lands. These basins are all located in elevated places, and they are all connected by ‘Dhoras’, which are draining and waterways that have elevated sides so that water won’t have undue spills along its path. An advantage of this Irrigation system is that it can cover vast fields and it requires little money to build it. 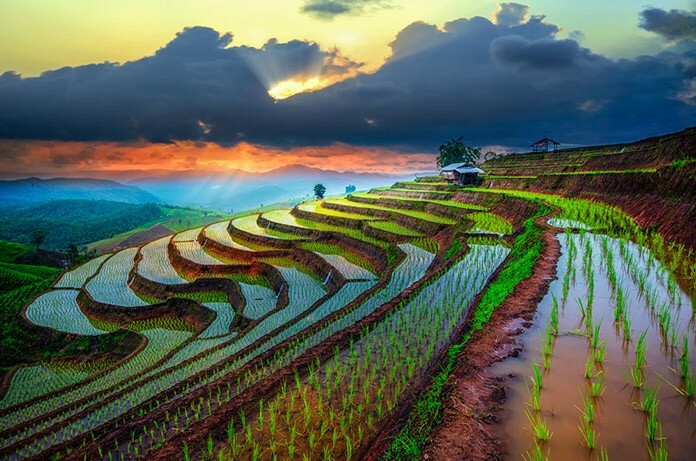 The idea of a Terraced Irrigation is to manually engineer flat, leveled, and graduated fields along the face of the mountainside, which would then result in a ‘staircase’ look. The farmers would then plant various crops at these flat and level fields. The terraces have channels, gates, and openings that open or closes, depending on whether the farmers want the ground to be wet or dry. The creation of this system dates a long way back, but it is still used today and can be found easily in rural places. This kind of Irrigation system takes water from the underground, which is called aquifers. To do this, workers excavate using manual tools in the past or drilling machines in this present day. Depending on the aquifer, wells can provide a lot of amounts of water. 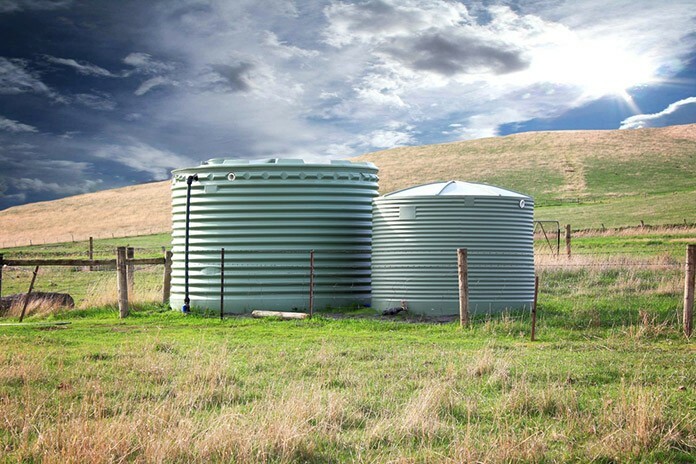 Water can be accessed from the ground by using a pump or wooden or plastic pails. ​Are you now convinced of the usefulness of an Irrigation System? If they can sustain vast fields of crops, how much more your garden that occupies only a little space. Installing an Irrigation System will surely make your plants happy and make your time managing them a whole lot easier. 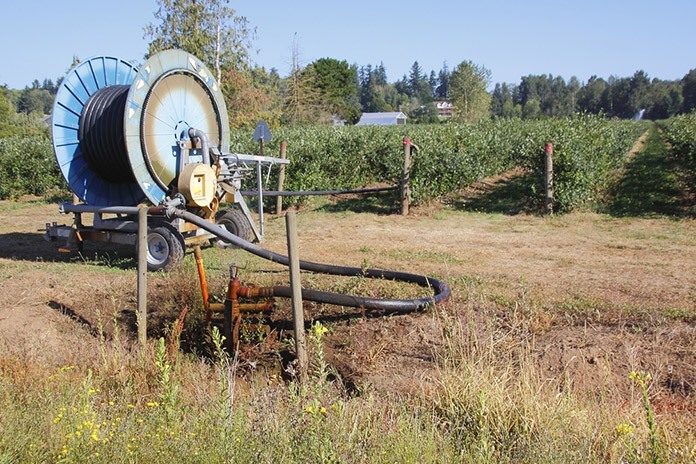 ​Irrigation systems have evolved, and they are found in many forms nowadays. So I will split the Irrigation systems into two types, into the Standard and Improvised ones. Here, I will present first the list of standard Irrigation Systems that you can use in your garden. ​Soaker Hoses is an Irrigation System that apparently uses hoses that have small pores or holes in it. These hoses weep or ooze water depending on the amounts you need, and a timer can also be installed on this system to avoid excess use of water. ​Soaker Hoses are installed from your main water source and can be buried deep in the soil, depending if you have plants that are deep-rooted. They also are installed extensively, by lining them according to the dimensions of your garden. Soaker Hoses are buried deep, they deliver the water up front to the plants, and thus maximizing the efficient use of water and minimizing waste. Soaker Hoses are buried deep and are often wet, the materials often deteriorate quickly and thus requiring you additional expenses. 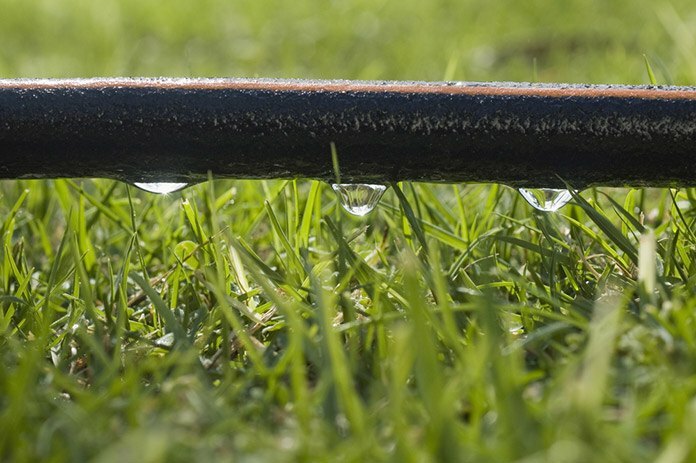 ​The sprinkler system is one of the more common Irrigation systems that is used today. Sprinkler System tosses water in the air through its water nozzle. 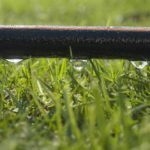 The Sprinkler system is best for your lawn, but it is not very ideal for your deep rooted plants. Sprinkler System is used ideally in the early morning, where the Sun is still not at its peak. For the water in Sprinkler system have very high evaporation rate, you might lose a lot of water when you use it in the afternoon. It gives uniform moisture throughout your lawn and garden, helping your soil to be in optimum health for growth. Initial Cost for installation might be quite expensive. Under harsh conditions like extreme heat and strong winds, the performance of the Sprinkler System can be negatively affected. 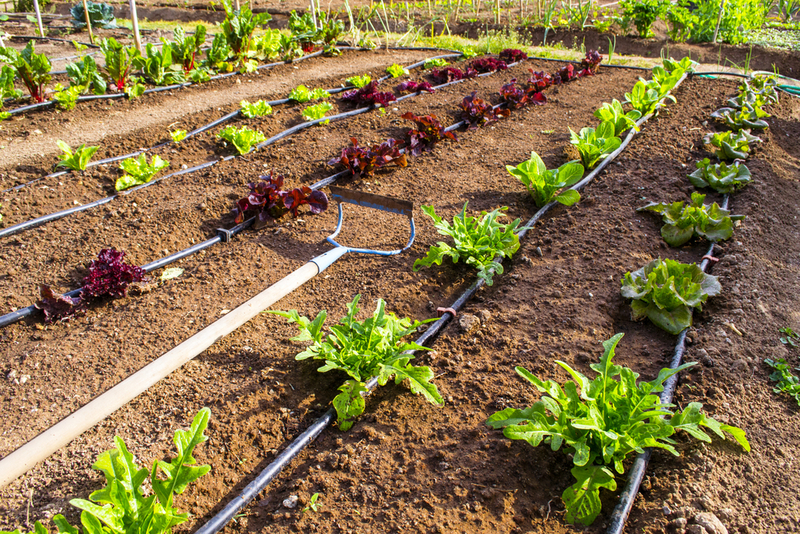 ​Drip Irrigation Method involves the use of tubes or hoses that are connected from your main water pipe, and has small holes or nozzles in it that facilitates the tear-like water droplets. This kind of Irrigation system is ideal for gardens that have vegetables, beds with ornamentals and trees, and also flower beds. Drip Irrigation System is now gaining popularity among the Irrigation Systems because of its efficiency. Because of its slow and steady drip of water, it directs the water where it is needed, thus saving and making good use of the water at most. 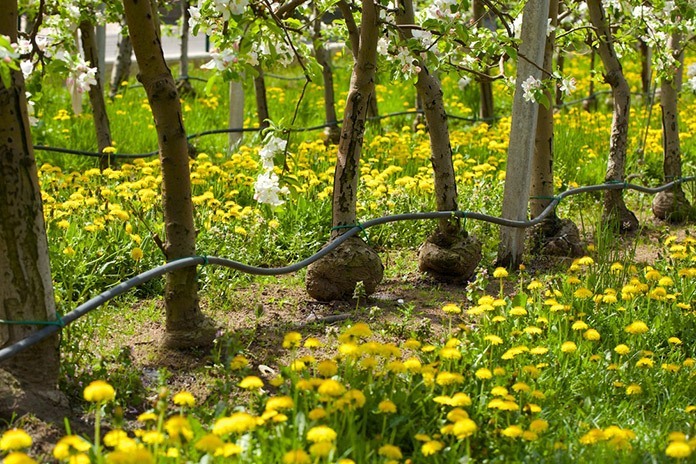 If not installed properly, Drip Irrigation can present damage to your plants. If it has blocked or too small nozzles, water won’t penetrate deep enough in the soil, causing the roots of the plants to only have a shallow growth or sometimes cause dieback. If your garden has larger space than usual, the Rotor System might be the best irrigation System for you. There are two kinds of rotor irrigation system, the stream and impact. They function pretty much like the sprinkler system, except that they produce a more uniform spread of water and has more focus so that the water can get deeper. Can operate greatly even with uneven slope, and are more accurate and efficient than the sprinkler system. With its jet-stream-like delivery of water, it may not be good and may damage sensitive kinds of plants. Those are the standard Irrigation Systems available today. They are standard because they can be commercially installed. Now, I will introduce to you several improvised Irrigation System that you can do on your own, using simple or recycled materials. This is a very simple Irrigation System to make. As the name implies, all you need to have is an empty glass bottle and its cap. Fill the glass bottle, which can be the empty bottle of wine, soda or other drinks, with water, then drill a small hole in the cap with a nail, and this will serve as the nozzle of the system. 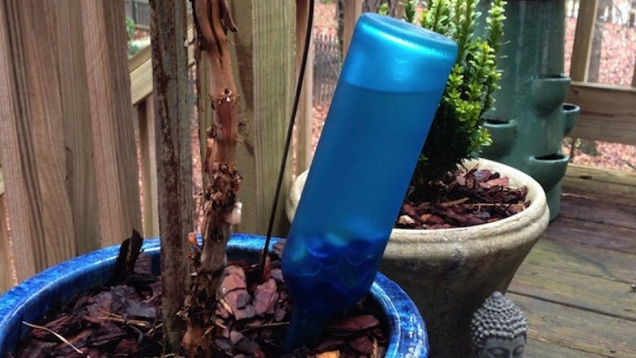 Make as many Glass Bottle Waterer as the number of your plants, and only bury the bottle nearby the plant with its neck and cap first underneath, and then you are done. This is a great improvised Irrigation System you can use if you are traveling, it is entirely safe and costs almost nothing. It is very cheap and easy to make. It is ideal to use when you are traveling, leaving it to operate in your home. If the holes are not done properly, the water can leak in excess in the holes, drowning the plant in the process. If you have deep-rooted plants, you surely sometimes have the trouble of not watering them adequately or accurately. Water needs to sink deep for these plants to seep them, and sometimes, the hot sun can evaporate your water as quickly as you water ground. The improvised PVC Pipe Channel can solve this problem easily and cheaply. All you need is a PVC pipe cut to the necessary length to reach the deepest roots of your plants. Then drill small holes into the sides of the PVC Pipe, make sure that the holes are aligned. Bury the PVC Pipe beside the plant, and also ensure that the aligned holes are facing the plant, and then you are done. You can simply pour water into the top hole of the PVC pipe, and the tube will deliver the water into the holes deep in the ground. It is very effective in delivering water into deep rooted plants. It is not automated, and you have always to give time and energy when you water these plants. The Last improvisation is what they call Rainwater Harvesting. All you need in this irrigation system is a large plastic drum with a wide mouth and a cap, which can securely seal the drum and prevent evaporation, and also, a sealant, hose and a small driller. All you need to do is drill a small hole into the plastic drum (be careful in drilling), make sure that the hole would only be as big as the diameter of the hose. Install the hose into the plastic drum and put the sealant around the nose to prevent spilling, and then you are done. Make sure that the length of the hose can cover the length of your garden so you wouldn’t have to drag the plastic drum, and always close and seal the drum after the rain to avoid evaporation. This Irrigation System is very cost-effective, as you will only need to save rainwater to use for watering your garden. Water in the drum can be exhausted quickly, especially if rain is not frequent. ​It has been a pleasure discussing traditional Irrigation systems, which we now know is very helpful for the civilizations in the past. And of course, the modern and most useful irrigation systems that we can use to improve our garden, which come in two forms, the Standard and Improvised. The standard Irrigation systems are very efficient, but it can cost you some money, your local gardening service can install them, or you can buy the materials if you like to make it on your own. The improvised, meanwhile, is very cheap but can also do the work for you. ​If you found this article worthwhile, please spread it and share it with your friends. If you have questions, kindly address them below. Suggestions and recommendations are also very welcome and much appreciated.